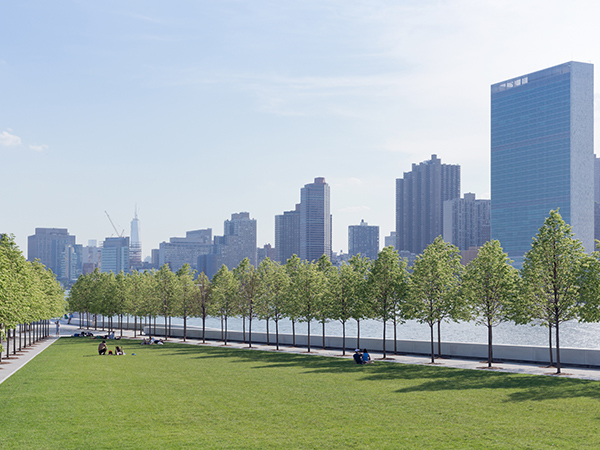 Located on the southern promontory of Roosevelt Island in the East River and providing expansive views of New York City, this four-acre park memorializes Franklin D. Roosevelt’s eighth State of the Union Address, delivered in 1941. 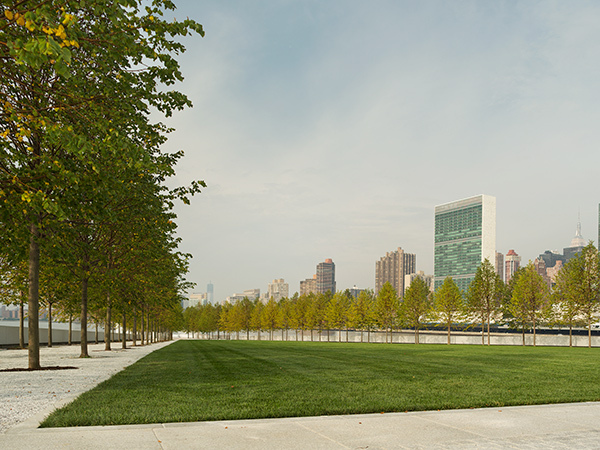 In 1973, Louis Kahn was commissioned to design the memorial, which he based on the concept of “a room and a garden.” Landscape architect Harriet Pattison worked with Kahn on the project until his death in 1974. 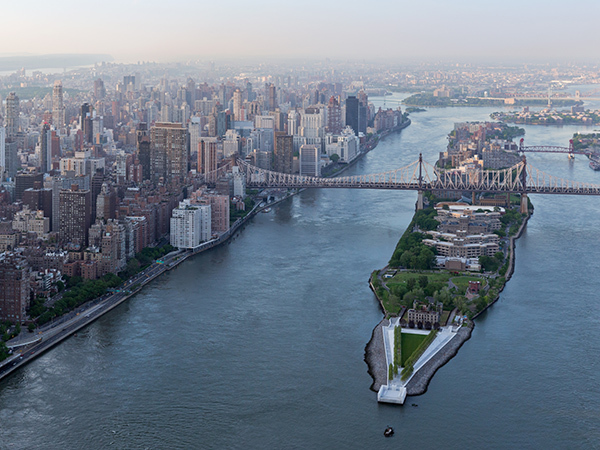 Design development was continued by architect Michael Rubenstein and landscape architect Lois Sherr Dubin until 1975, but construction was delayed for lack of funding. Later, interest was renewed, funding secured, and the project was restarted in 2009, with Dubin collaborating with architect Gina Pollara to realize the design. 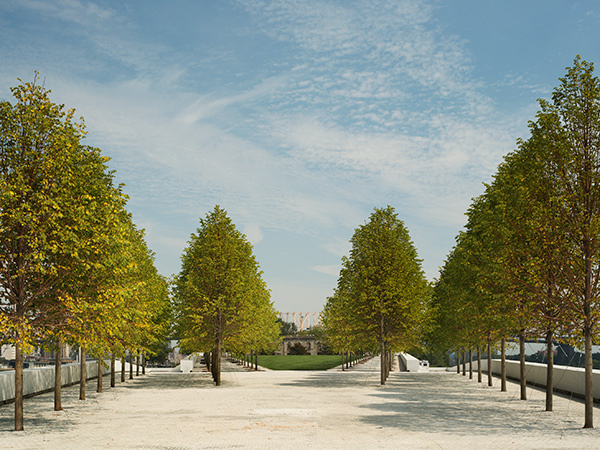 The park was opened in 2012. 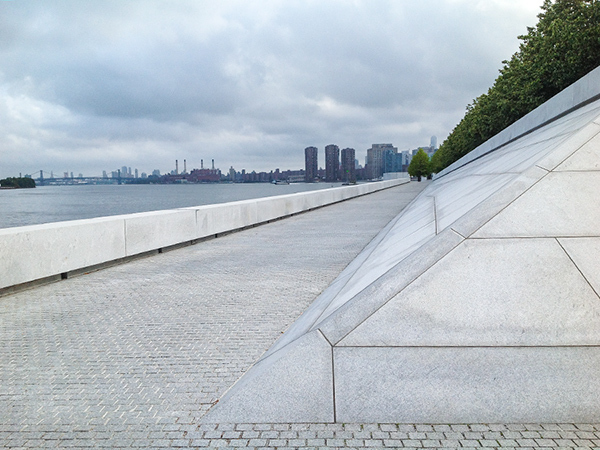 Taking advantage of the triangular site, the design employs a stark contrast between vegetation and granite that creates a forced perspective leading to the southern tip of the park. 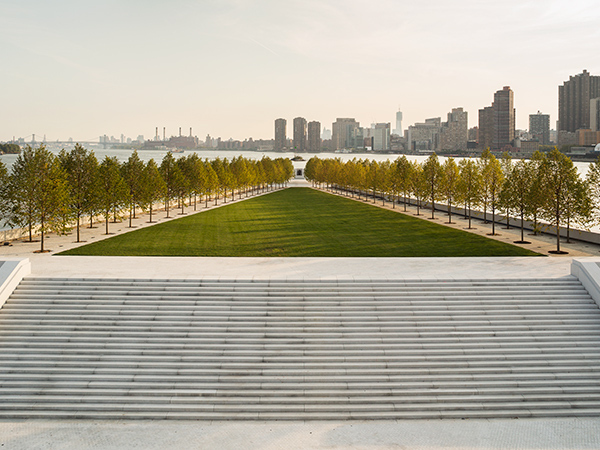 From the northern end, 100-foot-wide stairs (skirted by accessible ramps) climb to a tilted expanse of manicured lawn. 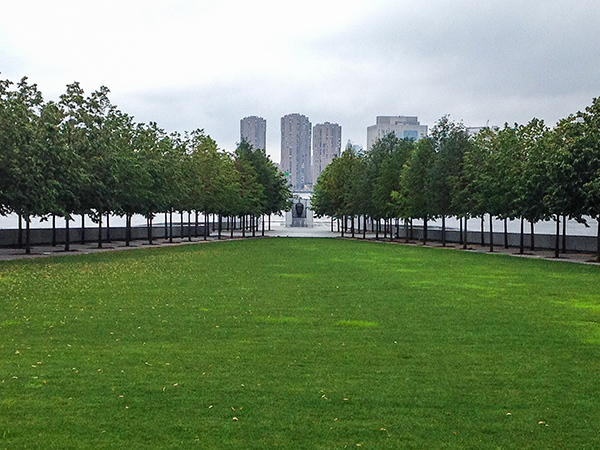 Double allées of 120 lindens edge the lawn, which is flanked by paths of crushed gravel stabilized by resin. 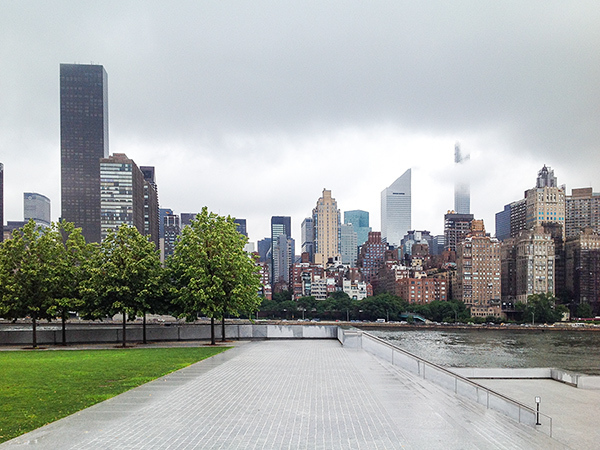 To the south, the narrowing lawn and allées open dramatically upon a paved plaza. An enlarged bust of Roosevelt, inset into a block of granite, separates the plaza from a farther room bounded by three walls of massive, white granite blocks, each block separated by a mere inch of open space. 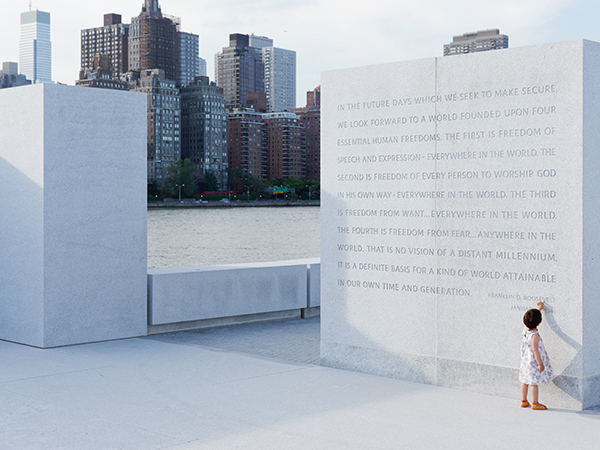 Quotations from Roosevelt’s Four Freedoms speech are engraved on the northern wall of the room, while a ha-ha along the south preserves views of the East River.